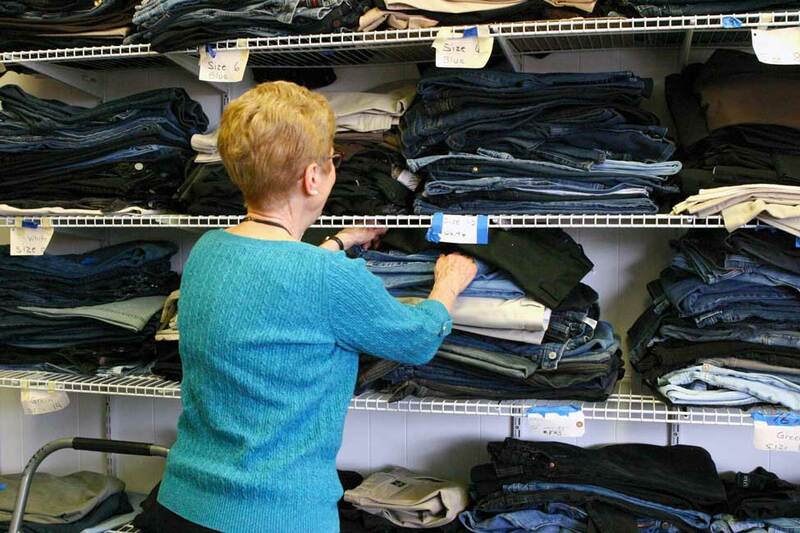 GIG HARBOR – Stacks of folded blue jeans sit on shelves that stretch from wall to wall in one room. Blouses of various colors, sizes, and textures drape from hangers in another. This clothing closet is like most others. Except, it's located inside a prison. 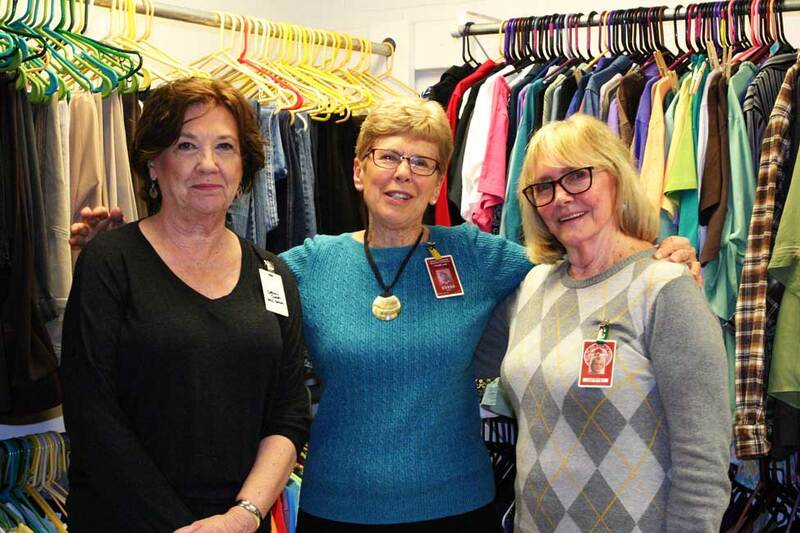 The Washington Corrections Center for Women (WCCW) has a closet run entirely by volunteers. Each Friday morning, volunteers help women who are days away from completing their prison sentences pick out the first wardrobe they'll have post-incarceration. "They have to leave here feeling good about themselves," said volunteer Anne DeLaney. "These women can go out and have more pride and self-respect. That's a wonderful gift to give them." DeLaney, a 79-year-old retired computer science teacher, began volunteering at the prison 18 years ago as a math tutor for inmates enrolled in the Trades Related Apprenticeship Coach (TRAC) program. The program provides job training for inmates in fields such as carpentry and construction. Belinda Stewart, a correctional program administrator, approached DeLaney about launching a clothing closet for inmates. At the time, inmates who released from prison did so in their standard uniforms of khaki pants and a sweatshirt. 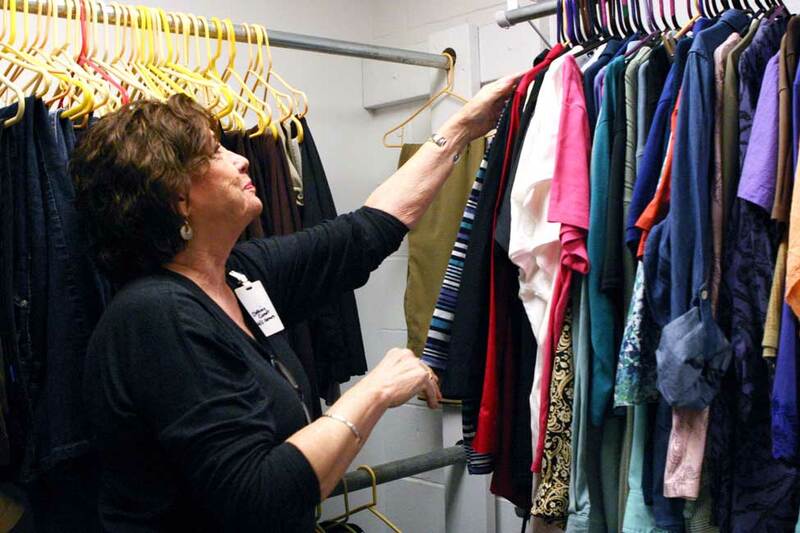 The hope of the clothing closet was to ease reentry by giving women "normal" clothes to help them transition back into the public without the added stigma of being a former inmate. "Before, all they had was a cardboard box with prison sweats and they left with a target on their back almost," DeLaney said. "With the closing closet, women can go out and look like everyone else. There's no 'Aha! There's a woman who just got out of prison.'" Incarcerated women whose release dates are within a few weeks may apply for an appointment with the clothing closet. Applicants are screened and volunteers help them select clothing in the correct size and in a style they like. Women who visit the clothing closet receive two pairs of pants, four blouses, a seasonal jacket, a pair of shoes, a purse, two pairs of socks and underwear, a night T-shirt, a duffel bag and a toiletries kit with trial size soap, shampoo and hygiene items. Most of the clothing comes from donations collected from community members. DeLaney transports the clothing to the Chapel Hill Presbyterian Church. She and other volunteers sort, wash, and mend the clothing, and deliver it to the prison. Prison staff inspect the clothes for contraband items before they are placed in the clothing closet. Last year volunteers distributed more than 6,800 pieces of clothing to more than 500 women. One woman about to leave prison is Lydia Marabilla. The 34-year-old has spent the last three years at WCCW for burglary and theft charges and is releasing in a few days. She's looking forward to being reunited with her 16-year-old son and possibly enrolling in college classes while looking for a job. She recently picked out a few blouses from the clothing closet. "It was a bit overwhelming at first, but they made me feel comfortable," Marabilla said. "It gives me more hope knowing that I can walk into a place like this and know this outfit I wear might be the one I wear at my first job interview." In addition to running the clothing closet, DeLaney volunteers one Saturday a month to set up games and activities for relatives and children who are visiting with inmates. "I just love seeing the women play with their children and have a good time with them," DeLaney said. "It's much more casual than regular visiting." WCCW has more than 700 people annually who volunteer for various programs related to education, reentry, health, family, religious, and recreation activities. Many outside organizations volunteers within prison programs including Yoga Behind Bars, Girl Scouts of Western Washington, Alcoholics and Narcotics Anonymous and The Freedom Education Project Puget Sound. Though some people may have reservations about volunteering at a prison, DeLaney saw the opportunity as a way to feel fulfilled post-retirement. She spent her entire career making a difference in the lives of students, and felt she could use her skills to make a difference in the lives of incarcerated women. 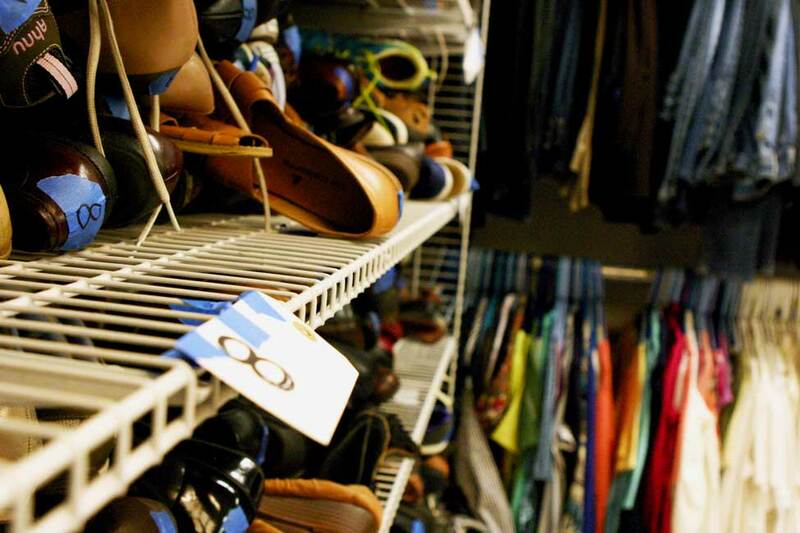 Since volunteering at the clothing closet, she's learned how much of an impact properly fitting attire can have on boosting confidence and self-esteem. She says many women who come to the closet don't know what size to wear, or what types of clothes are best for their body type because they've worn nothing but prison clothes for a long period of time. But she's gotten good at helping women discover what style works for them. A few weeks ago, a woman who identified as transgender was having trouble finding clothes in which she felt comfortable. DeLaney combed through piles of clothes until she came up with a wardrobe that included a men's shirt. "She was so happy and said 'Thank you! Thank you!" DeLaney recalled. "The best part about volunteering is seeing women leave here feeling good about themselves. Some of them cry and lots of them say they're thankful." New and gently used clothing for the WCCW clothing closet can be brought to the Chapel Hill Presbyterian Church, 7700 Skansie Ave. Gig Harbor, WA 98335. Of particular need are plus-size clothing up to 5x and black pants. Monetary donations can be mailed to PO Box 829, Gig Harbor, WA 98335. Questions about donations can be directed to the church by calling (253) 851-1779.